Imagine pulling into your driveway or place of business to be greeted by a meticulously manicured green wonderland. 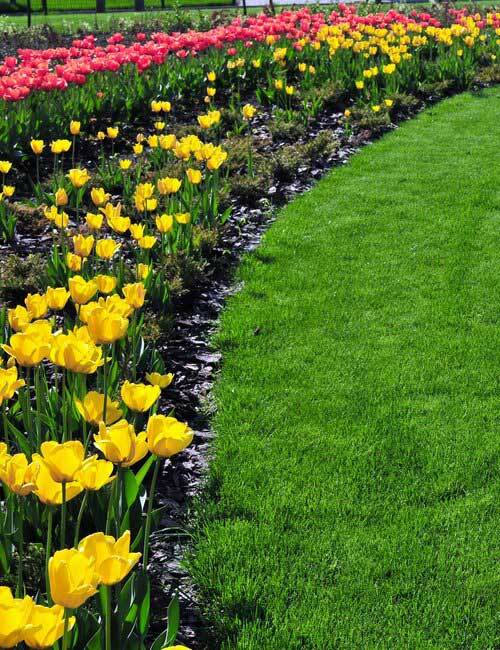 A healthy green lawn and perfectly landscaped beds filled with blooming plants and flowers. Decorative stone walls encasing your lush flower beds and adding a level of beauty to your property that you didn’t think was possible. Does this sound like a fantasy? Create-A-Scape can help turn this fantasy into a reality! Our lawn care and landscaping experts will work to maintain the health of your grass, spruce up your outdoor spaces, and boost the curb appeal of your property. You’ll be turning the heads of your neighbors and fellow business owners in no time! Want to know how? Keep reading to find out more. A lush green lawn is a must-have, but when you want to showcase your home or commercial building’s greater appeal, it’s time to let Create-A-Scape design something extraordinary for you. Want to add some color to your landscaping? We design, install, and maintain all plantings for businesses or residential clients with professional results. Consider signing up for our seasonal program that includes fertilization and planting of annuals, perennials, and winter plants for year-long beauty. Make your outdoor space welcoming and fun with comprehensive services available from Create-A-Scape. Interested in a putting green for outdoor entertainment? Want to dress up your patio or lawn with a customized pergola or gazebo? Create-A-Scape Can Make It Happen. Our experts can create a low-maintenance, pond-less waterfall feature or even install synthetic turf grass for your pets. From decorative walls made from natural stones to dry-laid walls, we have the creative solutions you need so you can admire your industrial, commercial, or residential space all year long. There’s a right and a wrong way to care for your landscaping. With a certified horticulture expert on staff, Create-A-Scape knows the right way to care for your plants, flowers, and outdoor green spaces. Not only do we specialize in landscaping, hardscaping, and lawn maintenance, our dedicated employees can give your home or business the “WOW” factor in any season. From gutter cleaning and snow plowing to spring and fall cleanups, you need the expertise of Create-A-Scape to maximize your curb appeal. 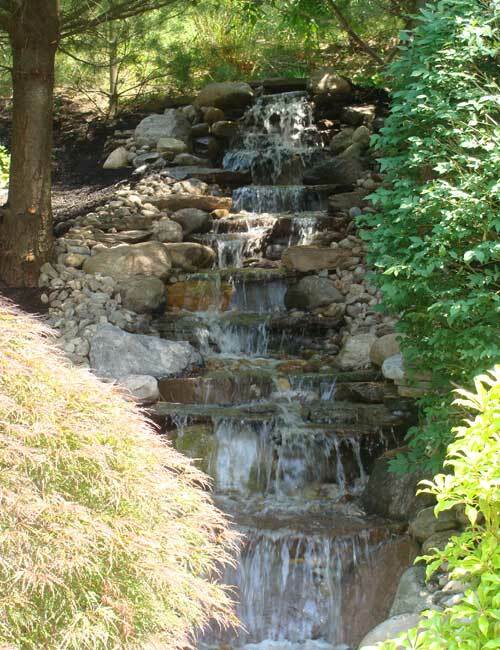 Create-A-Scape is dedicated to customer satisfaction with each and every project. Have a vision or an idea? Let us execute it. Interested in outdoor lighting or seasonal planting and aeration? Let us handle the work. Our trained and qualified staff is ready to make your visions and dreams of a stunning outdoor space a reality. Click to learn more about our comprehensive services and outstanding commitment to customer satisfaction.